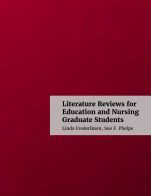 Literature Reviews for Education and Nursing Graduate Students by Linda Frederiksen, Sue F. Phelps; Washington State University Vancouver is licensed under a Creative Commons Attribution 4.0 International License, except where otherwise noted. 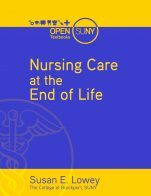 The text covers most key ideas and concepts relevant to conducting a literature review in graduate studies in nursing and education. Topics covered include from basic skills such as identifying primary, secondary, and tertiary sources; differentiating among popular, trades, and scholarly publications; retrieving sources from a variety of databases, and using appropriate publication guidelines to more advanced skills such as how to identify a topic and research question, critically evaluate sources, and synthesize and write the literature. Key topics not covered or that require further development include an overview of characteristics and differences in the role literature reviews play in qualitative and quantitative research, formulating qualitative research questions, and developing tools for argumentation. An index and/or glossary was not included. This is a critical component that should be added in future revisions and adaptations. Overall, the content was accurate and the supplementary material was valuable. There seems to be a slight bias towards quantitative research as most descriptions and examples related it. Some illustrations, diagrams and tables were superfluous or did not accurately illustrate the content discussed in the sections imbedded. For example, I am not sure of the value of the table: Guide to literature at various stages of the scholarly communication process (p. 29). Yes, the content is current and updates can be easily made. The extensive list of types of literature reviews (12 in total) is a bit overwhelming and confusing. There are overlapping characteristics among different types of literature examined under 1.3.1, It may be more effective to narrow down the list by grouping those with similar characteristics and purposes. The list of possible structures presented on page 103 would be more effective if concrete examples of each structure were provided. Students find it very hard to understand these concepts in the abstract. Perhaps in an effort to write in simple sentences, some paragraphs are choppy. This has an unintended effect of obscuring meaning. The whole textbook may benefit from including transition words/phrases that make more explicit idea transitions and relations. Idea organization: P.20 After listing common errors graduate students make conducting literature reviews, the authors conclude with the purpose of the literature reviews, interrupting the flow of logic of this section. This part may work better in section 1.4 which focuses on the importance and purpose of the literature review. Also, the definitions provided on page 27 seem out of place. They may work better at the end of chapter 1 or as an appendix at the end of the book. Jargon is inevitable in a research textbook, however, a list of key terms with definitions provided either at the beginning of the book, at the end of each chapter, or in the form of a glossary at the end of the book is critical to unpack this necessary, are specific terminology. The use of terminology is consistent. Most aspects of the framework are consistent. 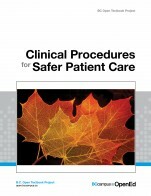 For example, the book provides practice and test yourself activities at the end of each chapter. A summary or conclusion paragraph is provide in some, but not all chapters. 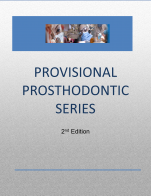 A list of key terms with definitions is provided in one chapter only. The txt is properly divided into digestible sections with proper heading and subheadings with clearly reveal the hierarchy of thematic relations across each chapter. Each chapter, and in fact sections within a chapter, could work as stand alone sections to be used for specific purposes at a given moment during the literature review process. The text could benefit from some reorganization in certain parts. For example, there are overlapping characteristics among different types of literature examined under 1.3.1 It may be more effective to narrow down the list by grouping those with similar characteristics and purposes. Sections 3.3. and sections 3.4 should begin with an introductory paragraph discussing distinctive characteristics of qualitative and quantitative research questions. Then it should follow a balanced treatment of both types of questions. Currently it only discussed and provides examples for quantitative research questions. There is need for inclusion of transition devices between sentences, paragraphs, and sections. Several images are distorted and of poor quality. For example, it is hard to see what is written in the small cards provided in the image of Illustration 6.1. Also figures 6.2., 7.2, 8.1, among others are pixeled. The text reflects diversity and inclusion. I recommend it. 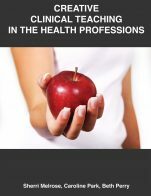 It covers most key aspects related to conducting literature reviews in graduate studies in nursing and education. Aspects not covered can be easily added and some minor typographical, grammatical, and punctuation errors can be easily revised in adaptations of it.